A fire caused at least $150,000 in damages to a Hillside Avenue two family home Monday afternoon. A half dozen pieces of fire apparatus from Everett and Boston responded. The fire was contained to the third floor loft area where heavy smoke and flames were met with firefighters first efforts when arriving at the scene. 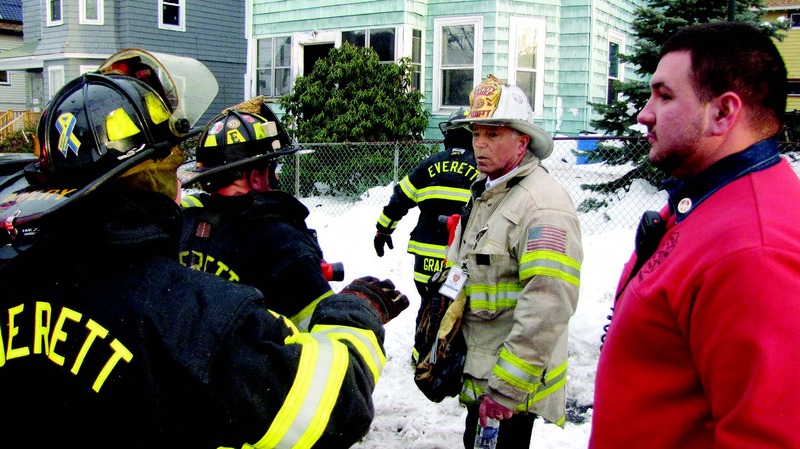 Under the command of Deputy Chief Michael Ragucci, firefighters were able to beat down the flames and entered the home searching for possible victims. According to the mayor’s office, six people were displaced. The mayor’s office is providing support for those driven from the home by the fire.